YOU CAN BE SURE THAT IRISH EYES ARE SMILING as Pop Rock band Black Soul Strangers charm their way onto the airwaves and create a stir this side of the water as they have in central London throughout May, June and July. Playing great tracks from their fantastic debut album Animate, which is being well received in all the right places, the band entertained a thousand-strong audience in their support to save BBC 6 Music. Armed only with a guitar, tambourine and megaphone, they treated the crowd to an impromptu performance of popular BBC 6 classics. Possessing a raw energy that few artistes can convincingly convey, the talented quartet has been described by uk.music-jobs as "serious contenders for next big thing status". Hardly surprising, really; we found Black Soul Strangers and Animate to be terrifically compulsive and refreshingly different. Animate is aptly named with its colourful tunes, enlivening quality and inspiring nature; and big in both sound and stature. Satisfying tracks, each with their own merit, and lyrics that actually seem to make sense give Animate a huge plus. The Haunting is a particular favourite, with musicvice.com describing it as having "four minutes of thrilling and bone-tingling poetry". This fabulous number has unusual melodies that linger in the mind and it was previously released as a single, The Haunting (see MotorBar's review below). Lies is described by leedsmusicscene.net as an "urgent pop infuse head rush". We loved it  a great track, reminiscent of folk-influenced flower-power days. Also memorable are Leave, with its compelling beat, the gorgeously racy Panic Sets Direction and the fascinating Tristia. As far as modern pop-rock goes Animate has it all, conveying a plethora of sounds and emotions ranging from the delicate to the immense. Described by Ilikemusic.com as "one of the most eagerly-anticipated albums this year", the album incorporates everything from a crashing drum across a studio floor to a fifty-strong choral harmony. Not to mention ten tracks of outstanding quality. Recorded in Van Morrison's prestigious Windmill Lane Studios in Dublin  the band is in good company here because The Rolling Stones, REM, Elvis Costello and U2 have all used these studios  Animate benefits from Black Soul Stranger's carefully picked studio team. Produced by Tom McFall (producer and engineer for Snow Patrol, Bloc Party, Editors, REM and Weezer) and mastered by John Davis (who has worked with industry heavyweights such as Led Zeppelin, REM, Primal Scream and Florence And The Machine), Animate offers diversity, originality and mainstream appeal. 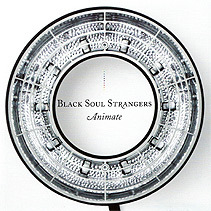 "Black Soul Strangers are one of the most promising young bands I've had the pleasure to work with," says Tom McFall. "In Animate they've created a master class in modern Pop Rock that will no doubt prove them to be one of the most talented new bands to emerge in 2010." Praise, indeed. So with this much hype surrounding the band, questions will be asked about Black Soul Strangers. The four are guitarist Barry Gorey, drummer Brendan O'Mahony, bassist and vocalist James O'Brien and guitarist and synth player Philip Wyer. Sounding amazing and established, the band's catchy uproar has already reached the ears of a few tastemakers: Jo Wiley, Fearne Cotton and Kat Wong (Zane Lowe's producer), who have all joined Black Soul Strangers' ever-increasing list of fans. The band's music has also attracted some of British cinema's revered directors. The dramatic opening album track Panic Sets Direction was used in award-winning British psychological horror film Beacon 77, described by The Leeds International Film Festival as "an absorbing example of the best that British genre cinema has to offer". Another album track, Monster, was used in Eoin Macken's Irish visceral horror film The Inside, which received critical acclaim from much of the Irish media. Black Soul Strangers' fantastic work ethic and the band's obsession with creating great music is propelling them forward as they rise to meet the hype around them. With an unquestioning belief in themselves  and perhaps also the luck of the Irish  they could well be the breakthrough act of 2010. 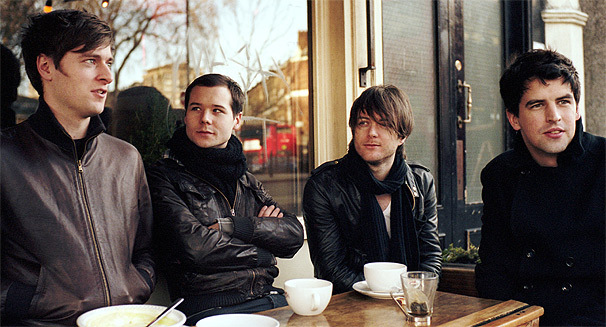 Gradually the boys are becoming familiar faces and less strangers as, emerging like a vast Pop-Rock cloud with soaring riffs and angst-ridden vocals, Animate is released on 5 July 2010. Check out Black Soul Strangers at bebo | myspace | twitter. WORD ON THE STREET is that Black Soul Strangers is going to be big. Given that this band is undoubtedly blessed with the luck of the Irish, it is no surprise that the beautifully-created The Haunting is of such a high calibre. Living up to its name, The Haunting is exactly that; with a timeless feel and an ethereal quality that leaves the melody indelibly etched in your mind  a pretty melody; but never lightweight, with full-on creativity. Clever Black Soul Strangers. The word 'haunting' has a number of definitions, including 'unforgettable', 'lasting' and 'continually recurring to the mind'. And the Irish quartet wisely selected the title The Haunting to reflect this perfectly in their delightful single. This wonderfully evocative piece of musical soul searching was written by the band members when they were growing up in a run-down area of west Dublin, unfortunately seeing many of the people they knew during those times "fade away into drugs and alcohol". Tragedy sometimes breeds creativity. Front man Barry Gorey says poignantly: "It was during this time that my father suddenly passed away. This was when the idea of slowly crafting songs went out the window, and everything just poured out of me." Black Soul Strangers describe the band's sound as Pop Rock, drawing their inspiration from artists like Joy Division, Queens Of The Stone Age, Fleetwood Mac, The Beach Boys, Damon Albarn and Blur. Bit of folk-soul inspiration there as well, I would say. Separating themselves from any competition with no-nonsense, high velocity tunes and a fantastic work ethic, the Black Soul Strangers' raucous riffs have attracted the talents of Tom McFall  the Producer and Engineer for Snow Patrol, Bloc Party, Editors, REM and Weezer. The forthcoming album has also been mastered by John Davis, who has worked with such industry heavyweights as Damon Albarn, Razorlight, Kaiser Chiefs, Bloc Party, Led Zeppelin, REM, The Ting Tings, Paul Weller, Primal Scream, and Florence And The Machine. But who exactly are Black Soul Strangers? It wasn't long after the band's founder members Barry Gorey and Brendan O'Mahony first started jamming together that they realised that they were really onto something. And the exceptional musical line-up was completed with the arrival of bassist and vocalist James O'Brien and guitarist and synth player Philip Wyer. Bridging the gap somewhere in between the soundtrack and the stadium and scheduled for release in May 2010, Black Soul Strangers' debut album Animate is shaping up to be one of the most eagerly-anticipated this year. The band's PR extols the virtues of the boys: "Incorporating everything from a crashing drum across a studio floor to a fifty-strong choral harmony, it is bathed in a depth and versatility that swoops gracefully from the delicate to the immense� These guys are set to rise to the top of the game: don't miss a step of their journey." Having made such an almighty crashing wave on English shores with energy-packed, high-octane live shows, Black Soul Strangers was recently named "the ones to watch in 2010" by Barfly and Death Disco (Notting Hill Arts Club). With a burning ambition to conquer every inch of the UK and with a fanbase that already includes Jo Wiley, Ferne Cotton and Kat Wong (Zane Low's Producer), Black Soul Strangers are set to get under your skin. 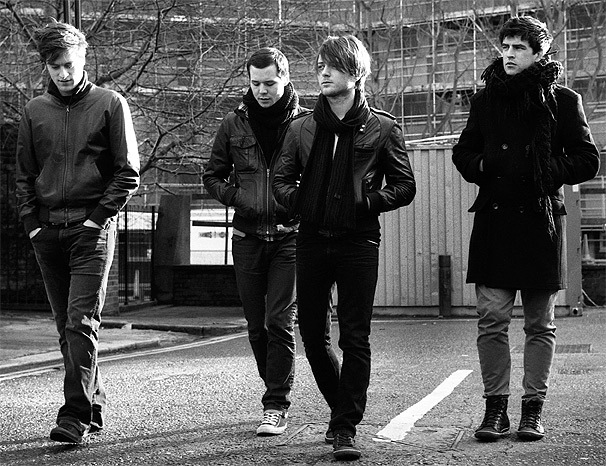 NME aptly remarks: "A band who actually look and sound successful before their time� Strangers, eh? Not for much longer." Great band with an established feel; great song. How cool is that?  Black Soul Strangers will release The Haunting on March 14 (2010) on Squeek Records.